The idea for The Kid had been bouncing around in Charlie Chaplin’s head for a few years and its infancy can be seen in the classic short It’s a Dog’s Life made in 1918. By changing the dog into an orphan child and writing new gags for the pair to enact, Chaplin knew that this could be a very successful film. His only problem was finding the right child for the role. Little Jackie Coogan would be just the right amount of talent and cuteness to hold his own with Chaplin onscreen. Of all the films that Chaplin made, this one has always been my favorite, because it is the only time that he allowed someone else to be his equal onscreen. In a span of just 6 years Chaplin had risen from obscure vaudevillian, to the most successful performer in the fledgling motion picture business. With each new contract he signed, his wealth and creative freedom increased in measures that other performers of his time could only wish for. By the start of the twenties Chaplin had realized that it was time to graduate from two-reel shorts to full-length films. First National pictures did not think that this was a wise idea and fought with him at every step to keep him from making the change. They had been profiting quite handsomely with the two-reelers and weren’t ready to kill the fatted calf just yet. Chaplin’s solution to this problem was to shoot The Kid simultaneously with the required two-reel shorts that would keep the studio executives off his back. When filming was nearing completion, First National wanted Chaplin to edit the film down so that it could be released as a two reel short. Chaplin’s solution to this problem was a masterful stroke of genius; he invited all the local theater owners to his studio to watch him make the picture. He then showed them a rough cut of the new film, which naturally made them eager to see its completion and release. The backing of these new allies was enough to get First National to relent, and to distribute it in its full length of six reels. 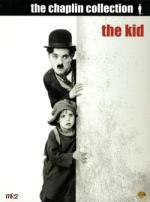 The success of The Kid was un-paralleled by any other film up to that time, and it would prove to other studios that comedy was a bankable investment in full-length films. The risk taken by Chaplin would give rise to the careers of both Buster Keaton and Harold Lloyd, as they too made the transition from short comedies to full-length films.